That Time of the Year is fast approaching! We are 18 days from the Scotiabank Marathon! 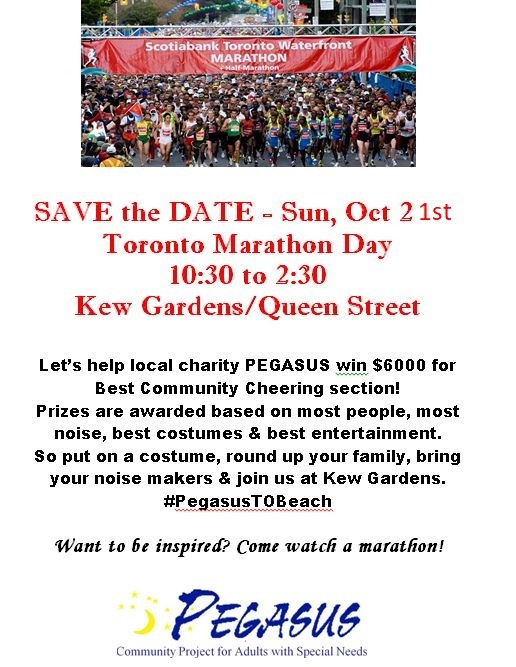 This year, Pegasus is the official neighbour charity for the beaches leg of the marathon, and we need your help! Help us cheer on the runners of the marathon on Sunday Oct 21st and help us with a prize! « Vote for Pegasus at the Aviva Fund!